Do you like Vodka? How about a little kick in your life? 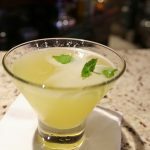 If so you should try this easy and simple to make Spicy Chipotle Pineapple Martini Recipe from the Alchemy Bar on Carnival Cruises! This spicy concoction will have your taste buds rejoicing with its tropical flavor and spicy kick. I always look forward to ordering a few of The Spicy Chipotle Pineapple Martini’s when cruising on one of the 13 Carnival Fun Ships with an Alchemy Bar. These ships include the Carnival Breeze, Carnival Conquest, Carnival Dream, Carnival Ecstasy, Carnival Freedom, Carnival Glory, Carnival Imagination, Carnival Inspiration, Carnival Liberty, Carnival Magic, Carnival Miracle, Carnival Pride, Carnival Sensation, Carnival Sunshine, Carnival Triumph, Carnival Valor, Carnival Victory and Carnival Vista. 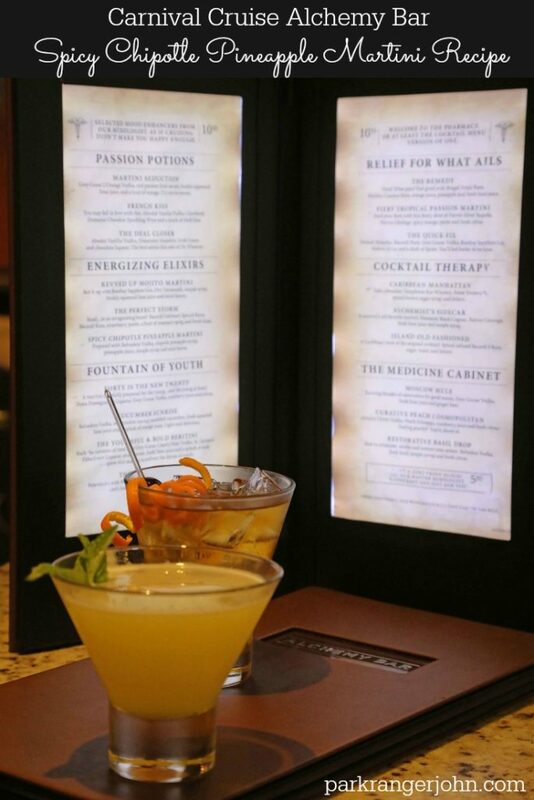 The Alchemy Bar will also be on the Carnival Fascination and the Carnival Horizon in the near future. Unfortunately, I can’t live aboard a cruise ship and go to visit the Alchemy Bar at any given time. That means that I will just have to make my own Spicy Chipotle Pineapple Martini’s until I set sail with Carnival again. Of course, these drinks always taste better when one of the famous Alchemy Bar mixologists like Drazen make this drink for you! You also get the fun and sarcastic vibe that makes this one of the best places to spend time at when at sea. I suggest taking the time and get to know your mixologist. They are great at making drinks and the more they know about you, the more they make a drink that you will thoroughly enjoy. 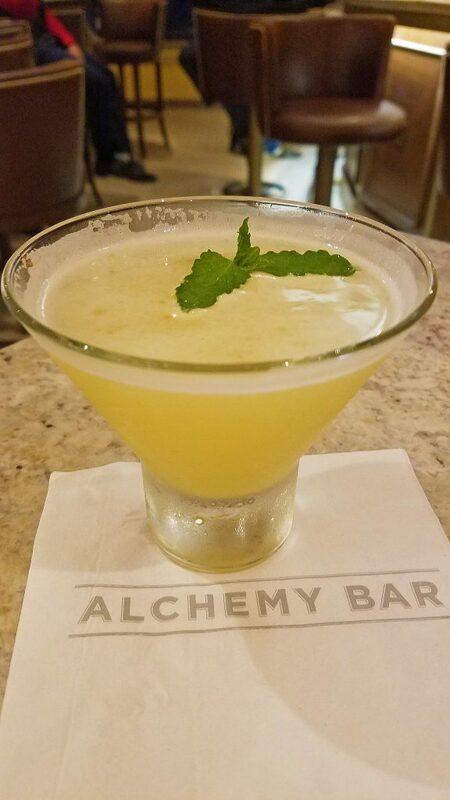 If you enjoyed the Spicy Chipotle Pineapple Martini Recipe make sure to read more about the Alchemy Bar before planning your next cruise. 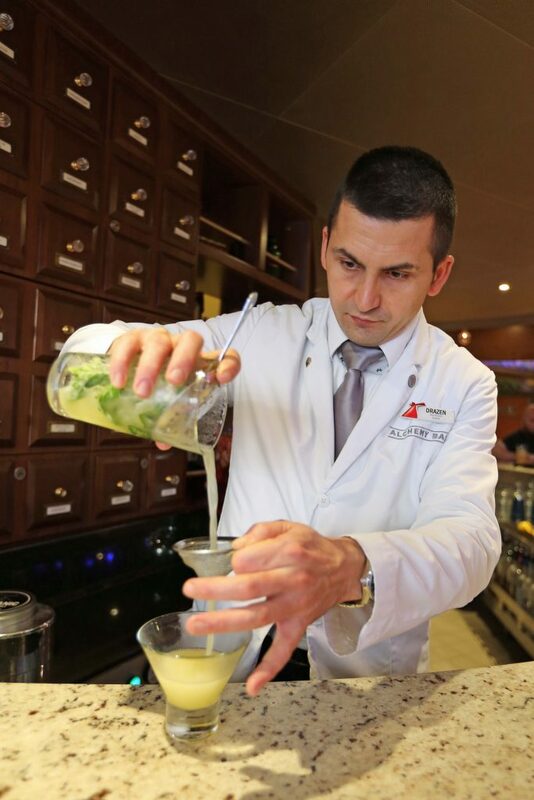 Check out my Caribbean Manhattan Cocktail Recipe from the Alchemy Bar on Carnival Cruises. 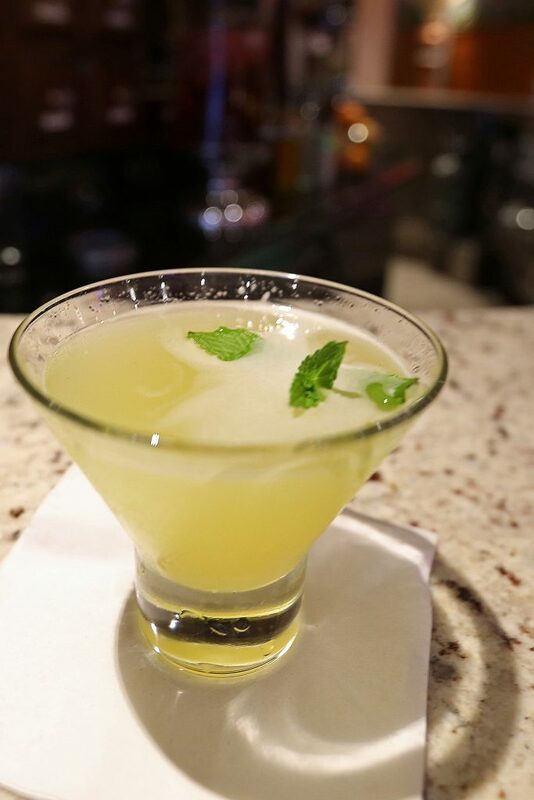 Muddle the mint leaves with simple syrup and the chipotle pineapple syrup in the bottom of a shaker. Then add remaining ingredients, fill with ice, and shake vigorously. Strain into martini glass.